Can’t decide what to pack? Get an app that will tell you! 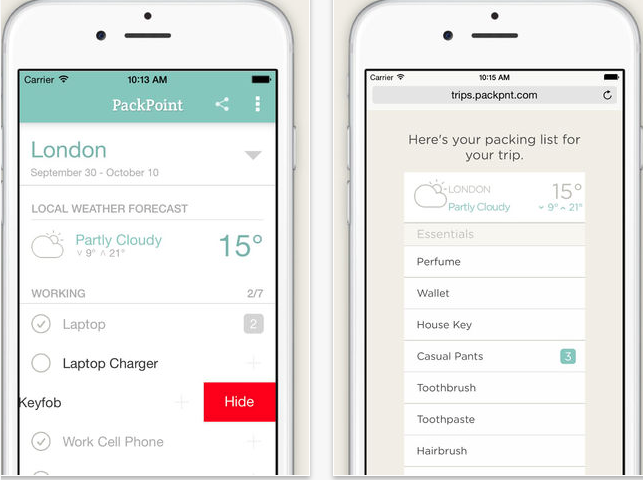 We have chosen PackPoint as our travel app of the month because it’s smarter than a box of smart phones and tells you exactly what you will need! It is an app that builds you a customised packing list based on where you are going and what you are going to do after finding out a few things about your trip, and the type of traveller you are. Very clever stuff indeed. What does the PackPoint app do? It asks if you are male or female, where you are going, when you are going, how long you are away for, what activities you plan to do while away, and then it checks the weather to finalise it’s picking power for your trip. It’ll also tell you how many of each thing to pack based on whether or how often you will be doing laundry and how often you are happy to wear the same clothes twice! You then go through the list and delete or keep the things you are going to pack. You can add new items too. The resulting list can be shared with friends or family so they can base their packing needs on what the app has worked out for you. Genius. What do the PackPoint reviews say? 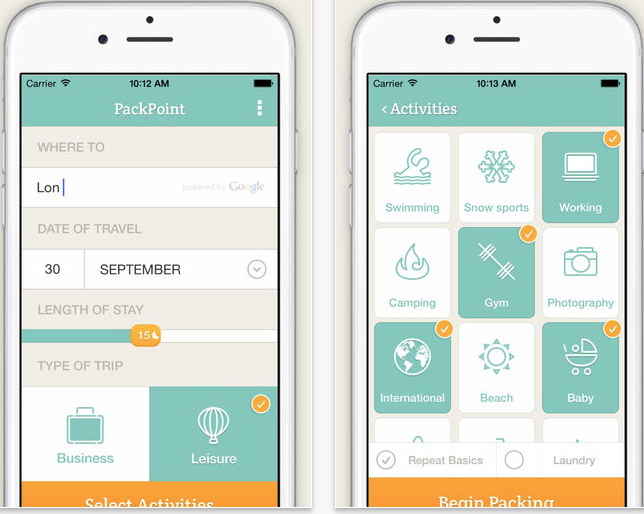 Users are loving the flexibility of the app and the multiple packing categories – super helpful if you are packing for a family, and a hobby too! It seems to live up to it’s name as an intelligent packing app, and the developers are making useful tweaks based on customer feedback to make the app even more awesome. Find out more about the app at the PackPoint website or download at Google Play or iTunes. This entry was posted in Travel Advice, travel apps on April 29, 2016 by worldwideinsure.